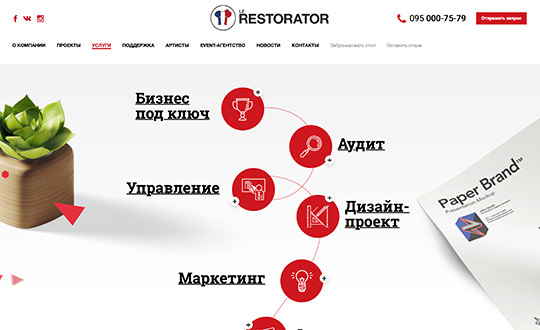 The second version of the website for Le Restorator consulting company, whose main specialization is doing business in the HoReCa segment. 28 page templates have been drawn from scratch in total. All animation and interface elements were also made from scratch. Site interface elements optimized for retina-display.